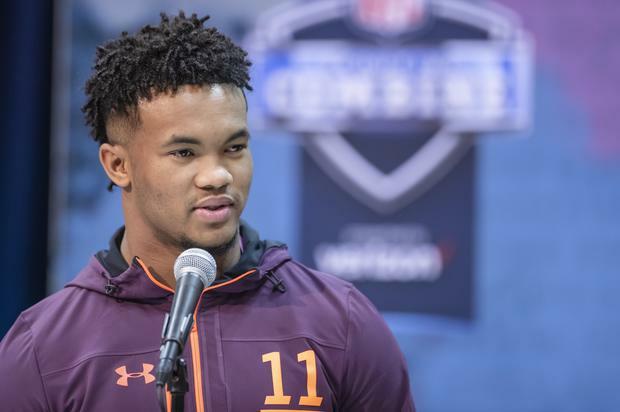 Heading into this year’s NFL Draft, one of the biggest questions that were looming was whether or not this year’s Heisman Trophy winner, Kyler Murray, would declare for the NFL Draft. Just a year earlier, Murray had been drafted by the Oakland Athletics of Major League baseball and had signed an entry-level deal worth $4.6 million. Back in January, before Murray had actually declared that he was going to pursue football, there were rumblings that he was asking for a large sum of money to stick to baseball. A recent report from Sports Illustrated confirms that the Athletics were prepared to throw $14 million at Murray to keep him on the team. This information was provided by an anonymous source who is pretty close to the family. In the end, Murray was devoted to football all along and there was really no question that he would eventually end up playing in the NFL. Murray could have forgone his final season with the Oklahoma Sooners to play with the As but chose to stick it out. That decision alone should have been enough to let people know that his ties were with the game of football. On April 25th, Murray will find out where he’ll be taken in the first round of the draft, with some thinking he might even go number one to the Arizona Cardinals.